The significance of Adam as a type doesn't become apparent to us until we see him contrasted with the Last Adam. Adam is called a "type" (NASB, NET) or "pattern" (NIV) or "figure" (KJV) of the Lord Jesus Christ in Romans 5:14. "Nevertheless death reigned from Adam until Moses, even over those who had not sinned in the likeness of the offense of Adam, who is a type of Him who was to come." The Greek word is typos meaning to "strike." A piece of metal was struck by a type leaving an impression on it. The typos was the mark left by an object that was struck. The word came to mean a person, object, or event that prefigured or typified something greater than itself. In the passage before us Adam was a "type" or "pattern" that prefigured Jesus Christ. Adam was the representative of the human race and his decisions to obey or disobey God had lasting results on all mankind to follow. Because he disobeyed God the effects of that transgression was passed on to every person. Adam fell and we all fell in him (Romans 5:12-21; 1 Corinthians 15:20-28, 45f). 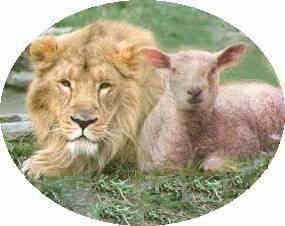 By contrast Jesus Christ is also the head of a new family of God by which He is the representative of all who obey Him. The redeemed have been purchased by Christ. We enjoy His victory on behalf of all who have responded to His saving grace by saving faith. Jesus is never called second, third or fourth Adam. In the Bible, He is always the Last Adam because there could never be another one like Him. He is the only one of a unique kind. "God after He spoke long ago to the fathers in the prophets in many portions and in many ways, in these last days has spoken to us in His Son, whom He appointed heir of all things, through whom also He made the world" (Hebrews 1:1-2). Even though he was the head of God's creation Adam failed. With his disobedience, he brought depravity on his whole family and to every descendent down through the ages. We inherited sin and death from old Adam. "Therefore, just as through one man sin entered into the world, and death through sin, and so death spread to all men, because all sinned . . . " (Romans 5:12; cf. 1 Cor. 15:22). Sin, transgression and death came because of Adam; however grace and eternal life came through Christ. "But the free gift is not like the transgression. For if by the transgression of the one the many died, much more did the grace of God and the gift by the grace of the one Man, Jesus Christ, abound to the many" (Romans 5:15). "The wages of sin is death . . . " (Romans 6:23a). Death is the punishment of God for sin. We all die because we have sinned. Sin and death entered the human race through the one act of disobedience of Adam. In old Adam we all die, however, in the Last Adam, we have eternal life so that we will never die. Jesus said to Martha, "I am the resurrection and the life; he who believes in Me will live even if he dies, and everyone who lives and believes in Me will never die. Do you believe this?" (John 11:25-26). The Apostle Paul brings out the contrast vividly when he wrote, "For as in Adam all die, so also in Christ all will be made alive" (I Corinthians 15:20). Whereas Adam spurned the love of God, Christ died on the cross and unveiled the heart of a loving God. "God commended His love toward us, in that while we were yet sinners, Christ died for us" (Romans 5:6). In His death Christ bore the full curse of the Fall. Christ paid "the wages of sin" in full as our substitute. Jesus bore the full consequences of Adam's sin. He was made a "curse for us" (Gal. 3:13), and died in our place (Matt. 27:46). "For if by the transgression of the one, death reigned through the one, much more those who receive the abundance of grace and of the gift of righteousness will reign in life through the One, Jesus Christ" (Romans 5:17). Then he adds, "through one transgression there resulted condemnation to all men, even so through one act of righteousness there resulted justification of life to all men" (5:18). "For as through the one man's disobedience the many were made sinners, even so through the obedience of the One the many will be made righteous" (v. 19). Jesus became "obedient unto death, even the death on the cross." First Adam brought death; Last Adam brought eternal life. First Adam brought condemnation; Last Adam brought justification. Adam's disobedience and its consequences were passed on to all of us without exception. However, Christ's obedience and righteousness is passed on to all who repent and believe on Him. Adam stood for many and brought death upon all; Jesus Christ stood for many and brings eternal life to all who trust in Him. God appointed Adam the head or representative of the human race. It is because Adam sinned that death passed upon everyone. Christ's righteousness is imputed to the believer exactly the same way that Adam's sin was imputed to us. Even though we inherited our sin nature from Adam what condemns us is we have all sinned in Adam. On the other hand it is our vital union with Jesus Christ that provides our salvation. Just as we were judged in Adam we have also been judged in Christ. The Last Adam set us free. It is an act of grace. Horatius Bonar wrote, "The first Adam dies, and we die in Him; but the second Adam died, and we live in Him!" The first Adam was tempted and failed the test, and in him, we all continue to sin and die. The Last Adam was tempted as was the first, but remained sinless, and lived a perfect life of righteousness. Jesus Christ is the only ". . . One who has been tempted in all things as we are, yet without sin" (Hebrews 4:15b). The Last Adam reversed the effects of the Fall. "Where sin abounded, grace did much more abound." Adam terribly disobeyed God. On the other hand Jesus perfectly obeyed His Father and vindicated His love and sovereignty. The first Adam began with everything provided for him in the Garden of Eden and he lost everything. The Last Adam began with nothing in a stable and ended with everything. "For you know the grace of our Lord Jesus Christ that though He was rich, yet for your sake He became poor, so that you through His poverty might become rich" (2 Corinthians 8:9). Adam is a type or picture of Christ in His love for His Bride. Jesus loved His Bride and gave Himself for her (Eph. 5:25; 2 Cor. 5:21). The first Adam was commissioned to "be fruitful" replenish the earth. The Last Adam came to "bring many sons to glory" and to fill heaven with redeemed people known as His Bride. The first Adam lived a long fruitful life to accomplish his destiny. The Last Adam was born to die to accomplish God's eternal purpose. The first Adam was given a bride as a helpmate. The Last Adam had to purchase His Bride, at the cost of His very life. The bride of the first Adam was painless since he was placed in a deep sleep. However, the Bride of the Last Adam was purchased through the deep sleep of His death on the cross of Calvary. The first Adam lost his bride through age, disease and death. The Last Adam will never be separated from His Bride. Through the first Adam's disobedience all mankind were all made to be sinners, however, through the Last Adam "many were made righteous" (Romans 5:19). That imputed righteousness that we have received as believers is His gift to us. It is not because we merited it, or earned it. It is ours because He has adopted us and placed us into His family. He is now the head of our family, not old Adam. Before the Fall Adam and Eve enjoyed the Garden of Eden, a perfect paradise, however as God's redeemed children we have been made to sit with Christ in heavenly places. Every one of us is in Adam. However, God in His grace has made Christ the head of a new family. Claim your inheritance today by faith in Jesus Christ. Adam is no longer the head of your family; now Jesus is the head of your family, therefore live like you are a member of the family. Don't forget to whose family you belong! Believers are now "in Christ," just as they were "in Adam" before they were redeemed. Satan has no power or authority to reclaim those who have been purchased by Christ. Every redeemed person belongs to Christ forever. The redeeming work of Christ can never be undone. Our eternal salvation has been provided by the Last Adam. Grace makes the magnificent difference between the condemnation of Adam and the justification through Jesus Christ. Our vital union with Christ is the only way of salvation. It is a wonderful thing to be forgiven, but God in His grace has put the righteousness of Jesus Christ to our account. Adam never had that righteousness upon him. He lost his own righteousness. We are given the perfect right standing of Jesus Christ.